The word Ghazel originates from the Arabean-Persian word Gazal. Its roots back to the Arabian world of the 6th, 7th century. In Turkish we find this poetry form as Gazel. Beside in Parsi, the Persian language of the Pashtunes, and in Hindi and Urdu, which is spoken in Pakistan, Ghazals have been established in many other languages as expression and verse form of poetry. Far beyond India, Pakistan and Afghanistan to Anglo-American, Hebrew and German linguistic area inside Ghazals experienced a large interest; in Spanish Federico Garcia Lorca experimented with the Ghazal form. The traditional Ghazal form has love as a melancholy expression, life and metaphysical questions as literary objects. In the literature Ghazel pretty often is defined as a form of Indian light classical style within the Indian classical music. IMC OnAir’s show will demonstrate that it behaves differently with this structural form of poetry. 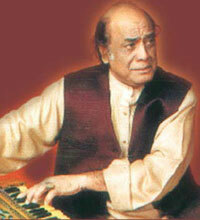 The film industry of India and Pakistan contributed substantially to the popularization of the Ghazals. Their variety in the expression of love and emotional state like togetherness, desire, pain of separation, apathy and in the form of sullenness or regret, the priority meaning of the word and gentle nature of the Ghazals found a multiplicity of interpreters in Mumbai, the Bollywood metropolis and in Lollywood, the analogue of Pakistan’s film industry. J. W. v. Goethe is considered as a founder of the „world literature“. 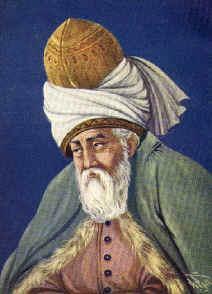 Beside his work for music, theology and sciences he showed large interest in the Persian and Arabian literature. By a non-fictional writing style in aphorisms together with Friedrich Schiller as the prominent figures of the Weimar classicism Goethe had a relevant influence onto Germany’s philosophy and far beyond the European borders. Goethe wrote the compilation “West-Eastern Diwan” as one of his late works, between Schiller’s death in the year 1805 up to its dying in March 1832. The compilation was probably written between 1814 and 1819. It was published in the year 1827 in an extended edition. The West-Eastern Divan covers completely in the sense of its original meaning 12 books (see Gutenberg project). The „West-Eastern Divan“ may be understood according to its time as an expression of intercultural exchange, a Western-Eastern approach between the Orient (Asia) and Occident. In the second book, the book Hafis (Hafis name) Goethe had concretely taken reference to the Persian poet and Ghazal maestro Hafiz. 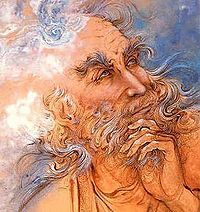 Goethe had been influenced by Hafiz (or Hafez) for his interest in Persian literature Goethe had been influenced by Hafiz (or Hafez) considerably. Till today the Hafez-Goethe monument in Weimar reminds of this relationship. Goethe found large acknowledgment for the „West-Eastern Diwan“ in the Middle East and in South Asia. 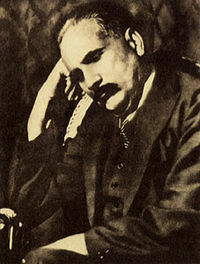 As the answer to Goethe’s Diwan the national poet of Pakistan Muhammad Iqbal published 1924 his work „Payam e Mashriq“ (The Message of the East). Also companions of Goethe were concerned in similar way with eastern, Arabean or South Asian topics and availed the Ghazal for their poetic arts. The German poet J. M. Friedrich Rückert (05/16/1788-01/31/1866) was translator and professor for Eastern languages and wrote 1839 the „Brahmanische Erzählungen“ (Brahmin narrations). It covers 6 volumes, in which Rückert used extensively the Ghazal as poetry form. The poet August von Platen (Karl August Georg Maximilian Count of Platen Hallermünde – 10/24/1796-12/05/1835) published 1821 “Die Ghaselen” and 1823 „Die Neuen Ghaselen“. The philosopher Georg Friedrich Daumer (03/05/1800-12/14/1875) showed with „Hafis“ his exeptional poetic virtuosity published in 1846 in Hamburg, a free interpretation of the songs of famous Persian poets. This entry was posted on June 8, 2009 at 12:24 pm	and is filed under ENG (English), IMC OnAir - News. You can follow any responses to this entry through the RSS 2.0 feed. You can leave a response, or trackback from your own site.